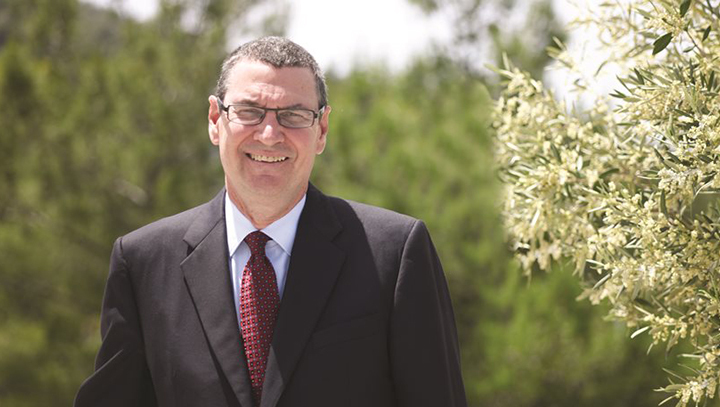 Dr. David G. Horner, President of The American College of Greece (ACG), recently spoke to Protothema.gr about education and employment, as well as opportunities offered at Deree, such as the Parallel Studies and SNF Scholarship programs, and the “Education Unites: From Camp to Campus” initiative. Which is the educational philosophy that governs Deree – The American College of Greece? Deree’s core educational philosophy is built on the American liberal arts tradition, which emphasizes the development of students’ lifelong capacities (e.g. the ability to think critically; to express one’s thoughts clearly and persuasively – orally, in writing, using various media; to work effectively with others; to be a continuous learner). These capacities are developed both through academic study (especially in the humanities, the arts, the natural and social sciences) and experiences outside the classroom (e.g. athletics; academic clubs and societies; student government; residence life; service learning; internships/apprenticeships; study abroad). The combination of all these elements comprise what we refer to as the “total student experience”. Deree specializes in delivering this “experience”, but doing so requires extensive resources, especially full-time faculty and staff and campus facilities, which Deree uniquely possesses in Greece. Complementing this educational philosophy is the College’s governance philosophy, based on our historic non-profit character and mission. How has the Parallel Studies Program at Deree evolved to this day? What does it offer to the young people who choose to combine their studies? For several decades, students from Greek public universities have supplemented their studies by taking courses or full degrees at Deree. Over the past five years, we have formalized and developed a more extensive “Parallel Studies Program”, including 40 “Certificate Minors” – specialized five-course sequences designed to complement an area of study from the Greek public university. Popular combinations are law or engineering in the Greek university and finance or management at Deree; we also see students choosing creative options such as medicine at the Greek university and visual arts or art history at Deree. “Parallel Studies” students improve their English-speaking skills (all Deree classes are taught in English and we enroll hundreds of native English speaking students), and many take advantage of options such as international internships and study abroad at outstanding universities such as Cornell, Emory and Stanford. All of this enhances substantially a student’s attractiveness to potential employers in addition to the intrinsic value of the educational experiences. Most recently, we have added the Stavros Niarchos Foundation Scholarship Program (generously funded by the Stavros Niarchos Foundation), which is highly competitive and draws some of the very best public university students to Deree. In the past academic year, over 500 Greek public university students enrolled as “Parallel Studies” students at Deree. Interestingly, this is approximately the same number of study abroad students enrolling at Deree from 150 international, primarily U.S., universities. The mix of traditional degree-seeking students, “Parallel Studies” students and study abroad students is unique to Deree. In what ways does the College’s Scholarship Program help young people who wish to pursue their studies, especially in these difficult times? The year I started at Deree (2008) less than 10% of the undergraduate students received some form of financial assistance (financial need-based or merit-based). This past academic year 46% of undergraduates received such assistance. Our comprehensive aid program also provides on-campus, work study opportunities so students get both financial assistance and work experience. For many students and families struggling to meet the cost of quality education in these difficult economic times in Greece, these resources make the difference between the ability to attend Deree or not. We are committed to doing everything we can to assure that no academically qualified student is excluded from Deree simply because of a lack of financial resources. Which educational model is applied to the College’s teaching methods and how do the American and Greek cultures interact? 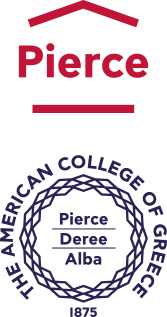 The American College of Greece (ACG) has three educational divisions: Pierce (a 1,400 student high school – Gymnasium and Lyceum); Deree (over 3,000 undergraduate and 200 graduate students); Alba (over 500 graduate business degree plus hundreds of executive education students). Each ACG division has a distinctive educational model. Pierce offers a Greek national curriculum and International Baccalaureate Diploma Program integrated with American educational practices (e.g. “whole person” development through academic and co-curricular activities). Deree, as noted above, is built on the American liberal arts tradition with a curriculum drawn from the humanities, fine and performing arts, natural and social sciences as well as selective offerings in professional disciplines (e.g. business, information technology). Alba follows the model of an American professional graduate school, stressing knowledge development and application through faculty research. The faculty profile we look for and the ways in which American and Greek cultures interact in each division are also distinctive. As one moves up the ACG “educational ladder” (Pierce – Deree – Alba), faculty research becomes increasingly important, although ACG faculty in all three divisions are engaged in various forms of academic scholarship. Common to faculty in all three divisions is a passion for teaching; we look for faculty who are enthusiastic about being mentors, not just academic dispensers, for our students. The vast majority of our faculty are Greek, but, in the case of Deree and Alba, have been educated outside Greece – most notably in the U.S. This is also true for a significant number of Pierce faculty. When you add students from 70 countries outside Greece to this learning community mix, the interplay between cultures at ACG – Greek, American and others – is dynamic and rich. How strong is the connection between Deree degrees and the job market, and what are the opportunities offered to young people both academically and professionally? In the 21st century, “knowledge-based” economy and with the challenge of young people finding jobs after graduation (not only in Greece), the connection between academic study and the job market has understandably become a major concern. Deree has always been close to the market in its educational offerings. For example, we introduced the study of marketing and information technology to the Greek market years ago. More recently, we introduced healthcare management as a new academic offering in Greece. But, the opportunities we offer our students extend well beyond the classroom. We regularly bring business and community leaders to campus to engage with our students, and we send our students as interns and apprentices into workplaces in Greece and around the world. In the last academic year, Deree students were assigned to 396 apprenticeships, internships or campus work study placements in 75 organizations. As one way of monitoring the strength of the connection between Deree degrees and the job market, we track the success of Deree graduates immediately after they complete their studies. In the last four years, 12-18% have been still seeking employment six months after graduation; this range is similar to what you find for university graduates in relatively strong national economies with low unemployment (e.g. the U.S.). Which do you consider the advantages of Deree with respect to the skills and opportunities it gives its graduates? I have already mentioned several: lifelong capacities developed through our liberal arts and total personal development approach, which provides a foundation for personal and career development throughout our graduates’ lifetimes; apprenticeship/internship and study abroad opportunities, which expose our graduates to international best practices. Another advantage is our network of 54,000 alumni around the world. This is an enormously helpful potential resource for initial job placement and even lifelong networking. And, all of this comes at a cost (i.e. tuition and fees) that are a fraction of what students would pay for comparable quality of education in the U.S. This is why I sometimes claim that ACG may well be the best American educational value in the world, and if Greek families understood fully what is available to them here, there would be a line from our main gate in Aghia Paraskevi to Syntagma Square to apply for admission to Deree. Tell us a few words about the “Education Unites: From Camp to Campus” scholarship program for the refugees and ACG’s contribution to it. “Education Unites: From Camp to Campus” is an initiative of the U.S. Government aimed at assisting some of the refugees who have come to Greece. The initiative is being coordinated through three American educational institutions in Greece – Anatolia/ACT and American Farm School in Thessaloniki and Deree – The American College of Greece in Athens. For the first year, we expect to serve 200 refugees, 100 in Athens at Deree and 50 each at the Farm School and ACT. Students will be able to select from any of our course offerings, but we are expecting many of them to take advantage of English language courses. The costs of the program will be fully supported by the U.S. Embassy and the three institutions and, hopefully, will provide meaningful assistance to help transition the refugees to wherever their futures will take them. Read the interview (in Greek) published on Monday, August 28, on Protothema.gr.